Welcome to Harris Creek Dental in McGregor, TX! Our dental practice delivers a unique blend of personalized care and state-of-the-art dentistry. At Harris Creek Dental, you’re not just another patient in our schedule; you’re a valued member of our practice family who we truly look forward to serving. 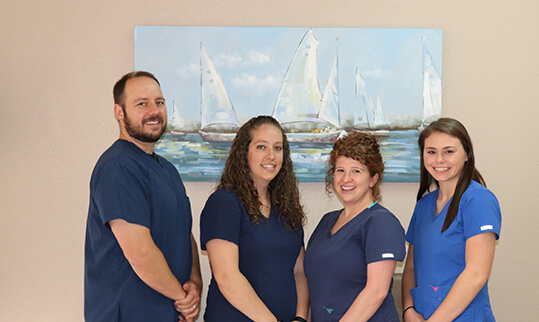 When you visit our office, Dr. Sam Baber and his team take the time to become familiar with your patient history, your goals for your smile and oral health, as well as any fears or concerns you have regarding your dental care. We believe in creating meaningful relationships with our patients because it opens up the doors to a more effective — and more enjoyable — dental experience.